CARE Ballet presents “The Pied Piper” with public performances this weekend. On Friday, Grand Rapids area students get a sneak peek. Rats are everywhere! Luckily, the Pied Piper is coming to town. Join the Pied Piper as he rids Hamelin of rats by leading them through the town, across a bridge, and into the countryside. Cheer with the village children as they skip and dance to the Piper’s sweet music. Based on a poem by Robert Browning and choreographed by Artistic Director Judy Genson-Wadsworth, this tale will delight boys and girls of all ages! Purchase tickets online at careballet.org or call 616-464-3682. Children & Student $10, Adults $15. All seats are reserved. This weekend CARE Ballet brings to stage “The Pied Piper,” a family-friendly tale of a piper who rids the village of rats. CARE dancers have rehearsed for weeks. Seamstresses have altered costumes. Volunteer parents assembled sets at East Grand Rapids Performing Arts Center. All regular work of putting a production together. But what is less understood, and most important to me, is the work being done to bring two special audiences to see the show performed just for them. 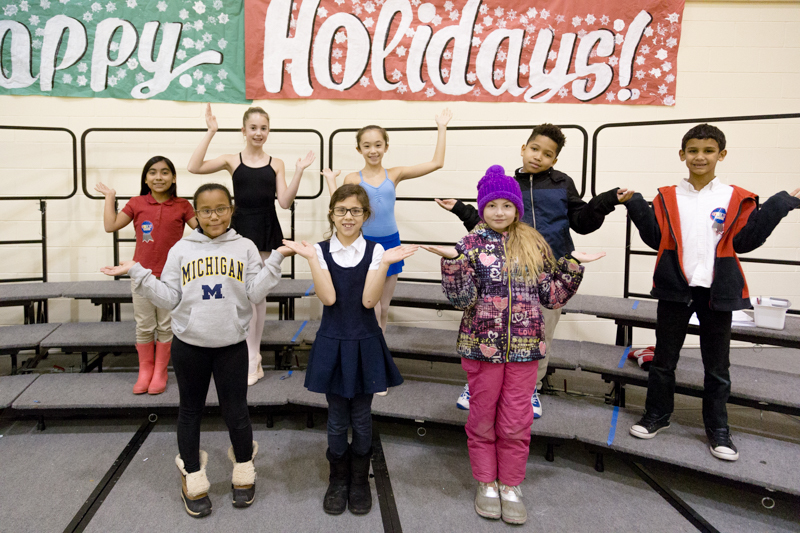 CARE Ballet, with the support of individuals and corporate sponsorship, will invite classrooms from Grand Rapids area schools to see “The Pied Piper” this Friday before the weekend public performances. Over a thousand children from schools who qualify for free or reduced lunches will soon be sitting silently in awe one moment, and then laughing and cheering the next, enjoying the art form of dance and storytelling. I wonder how many of these very enthusiastic children would ever enjoy a ballet if not for CARE. Not many, I think. And that experience is most important for the few kids who suddenly see themselves in the dancers. CARE goes even further to create a valuable experience. Anne King, CARE’s school specialist, dedicates many hours to coordinate the school performances. 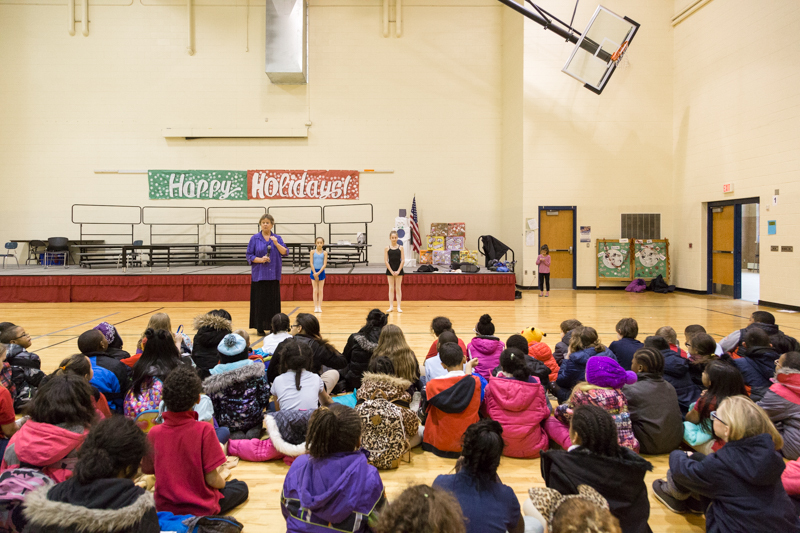 Additionally, she and a few CARE dancers, visit each school for a special assembly. I recently volunteered at one of these assemblies at Coit Creative Arts Academy in Grand Rapids. Ms. King described the story of “The Pied Piper” and prepared the children for the ballet. Two CARE dancers demonstrated parts of the show and invited some of the students to learn the dance with them. Giggles from classmates rose as these kids pretended to be rats led by the Pied Piper around the gym. CARE dancers helped the students understand what it’s like to be in a performance and tell a story silently through movement. Another important element taught during the assembly was proper audience etiquette. Ms. King prepared the students with what to do when the lights go down, and the auditorium goes pitch black. She also taught them appropriate times for clapping. This preparation will be evident during the actual performance on Friday. To learn more about CARE Ballet and the School Performance Program visit careballet.org. Yolanda Gonzalez, CARE "dance mom" and volunteer wrote this article.